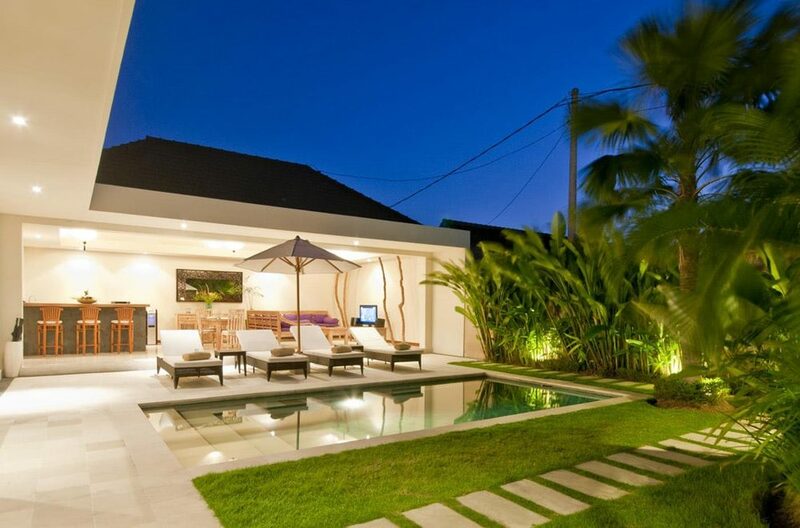 Tucked away down a small laneway off Jalan Laksmana, Seminyak is Villa Umah Kupu. 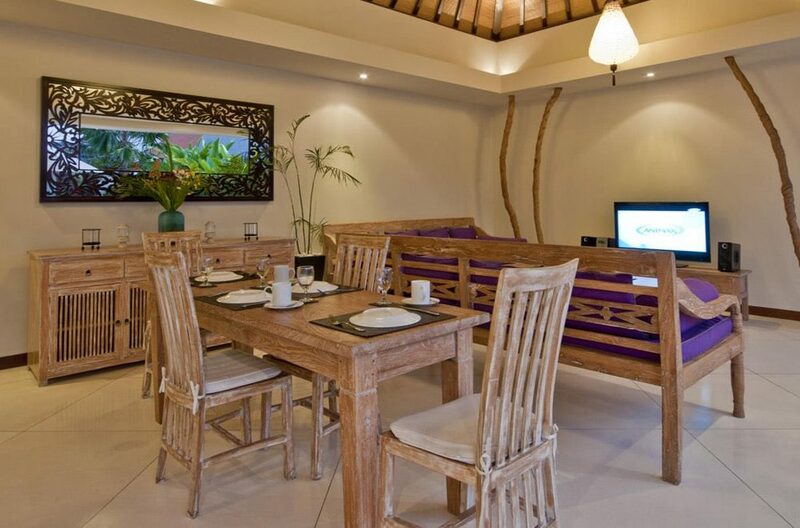 Consisting of two identical compounds the villa accomodates 4 people. 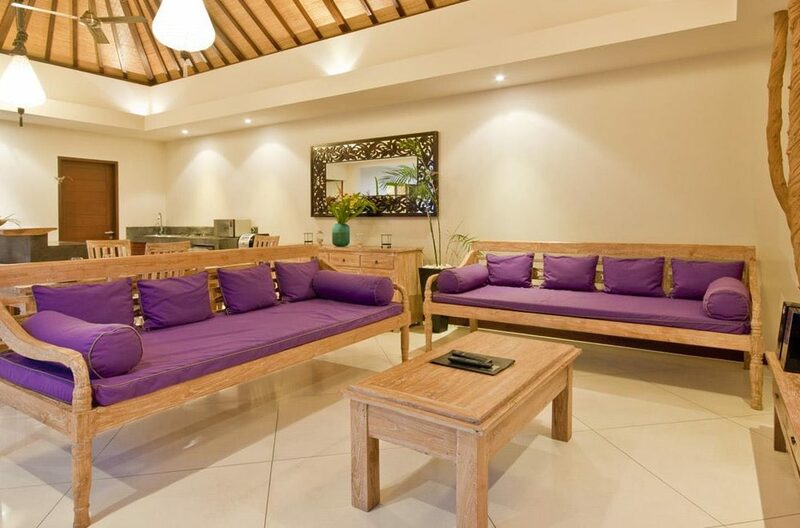 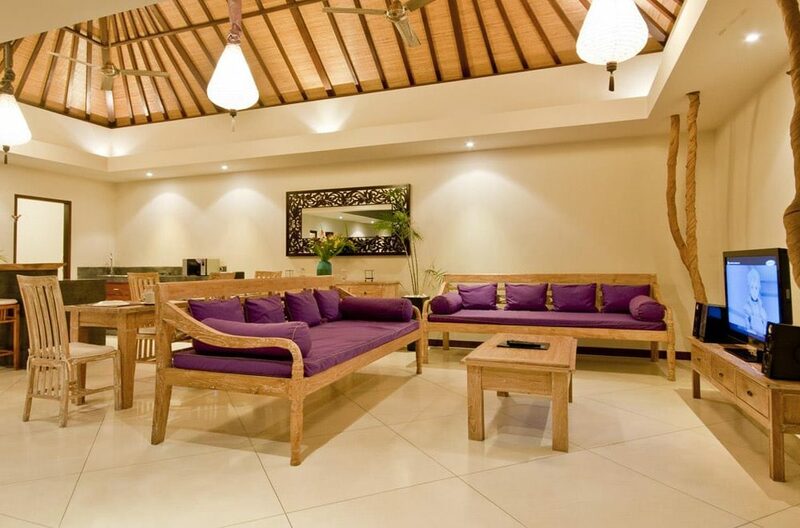 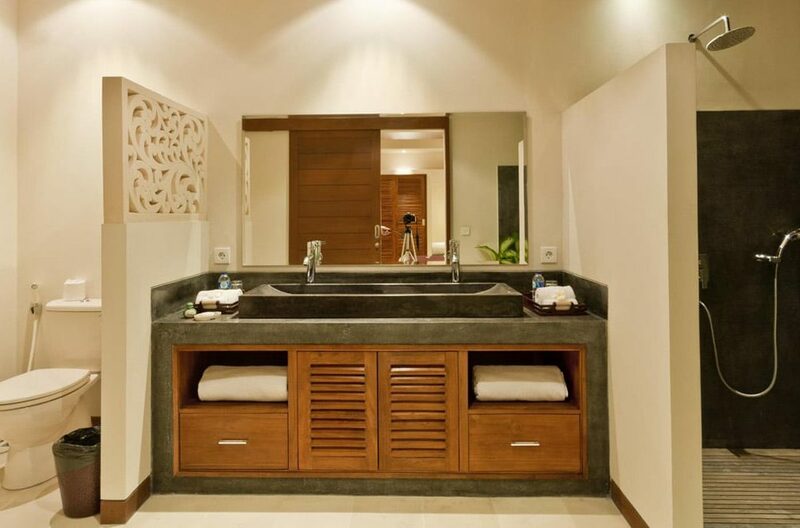 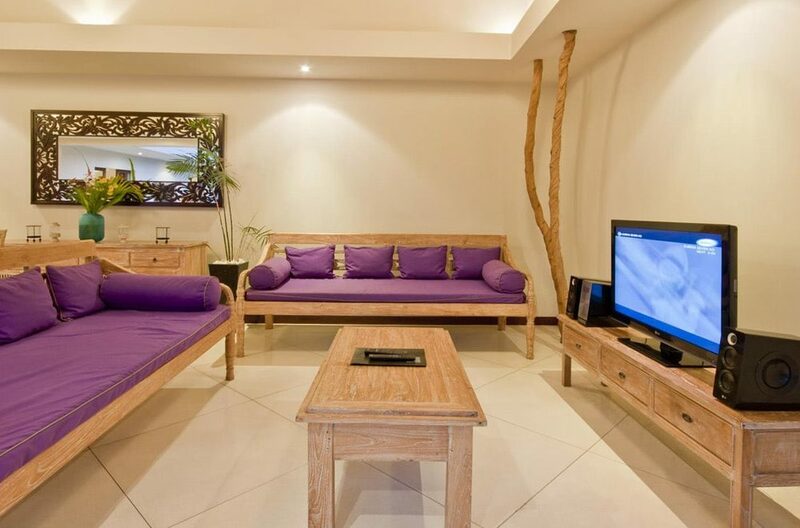 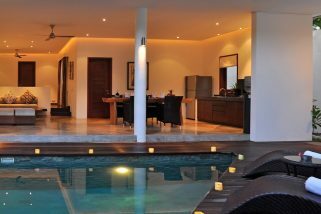 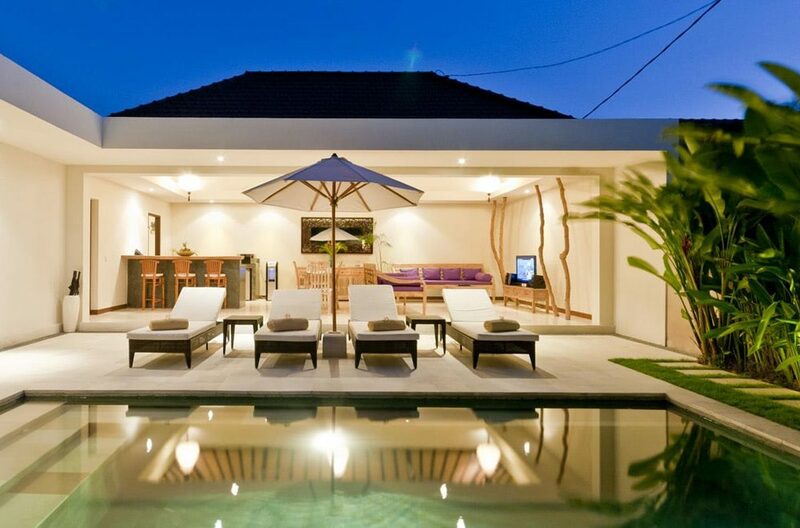 This neat pool villa provides fine furnishings and finishes along with a fabulous location for your Bali holiday. 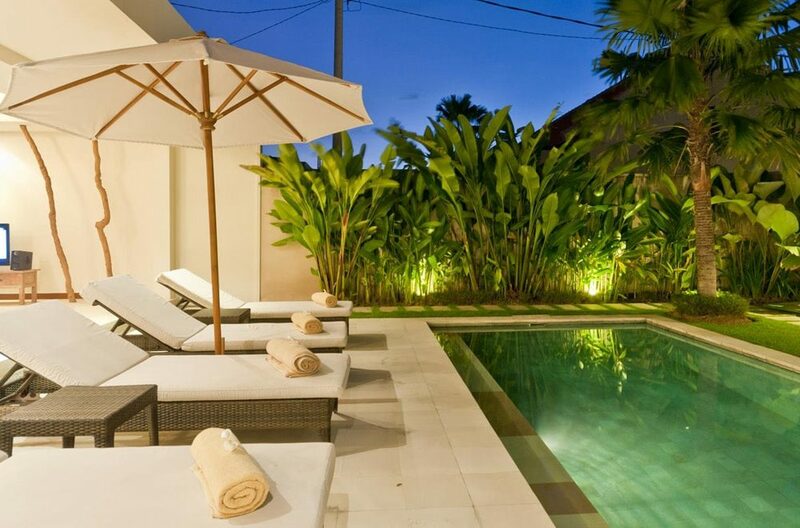 If it’s the Seminyak nigtlife your seeking, shopping or just soaking up the sun this locale will deliver all and more. 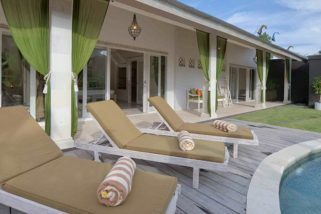 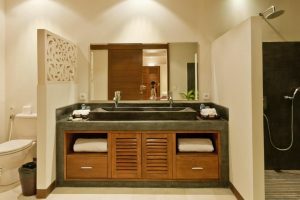 Two seperate bedroom villas with unique styling are seperated within two individual compounds. 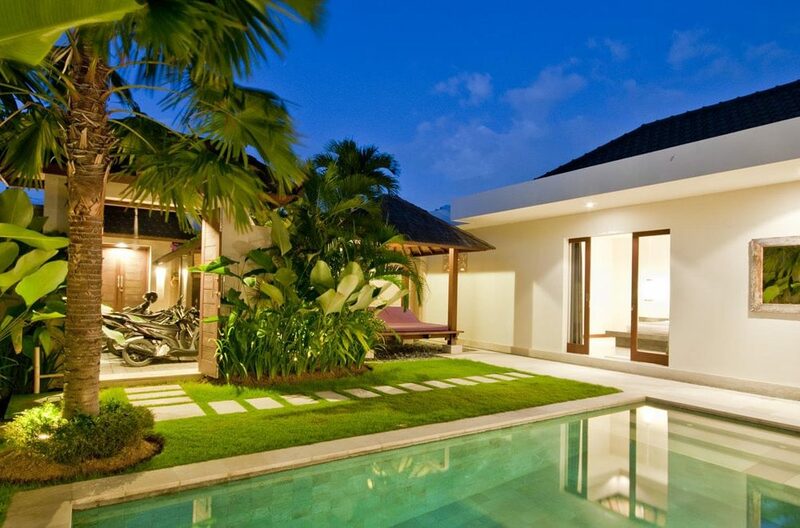 The L-shaped building houses two bedrooms and an open plan living area. 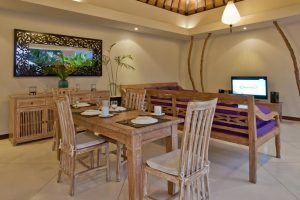 Two large sofas sit around the large flat screen TV with cable television, white-wash solid timber furnishings are a highlight with the dining table seating 4. 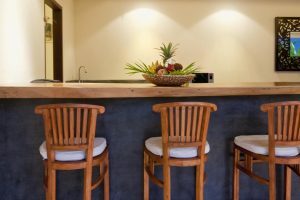 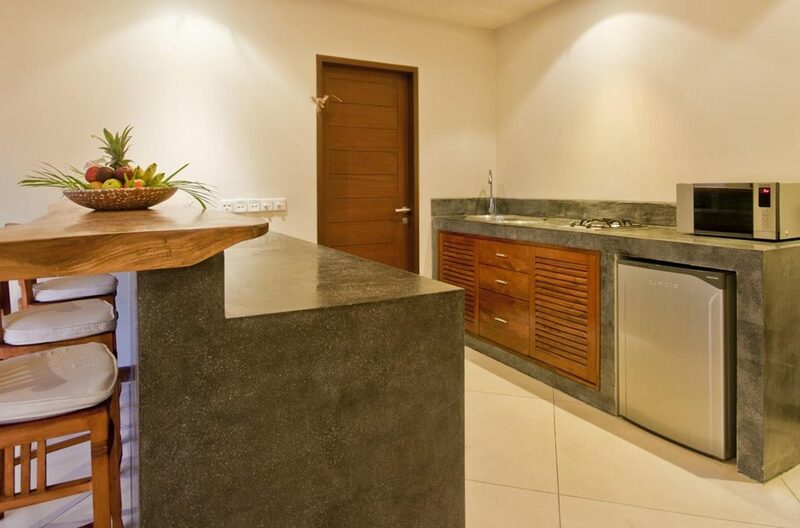 And the kitchen area, equipped with all the appliances and utensils you are likely to need throughout your stay with us. 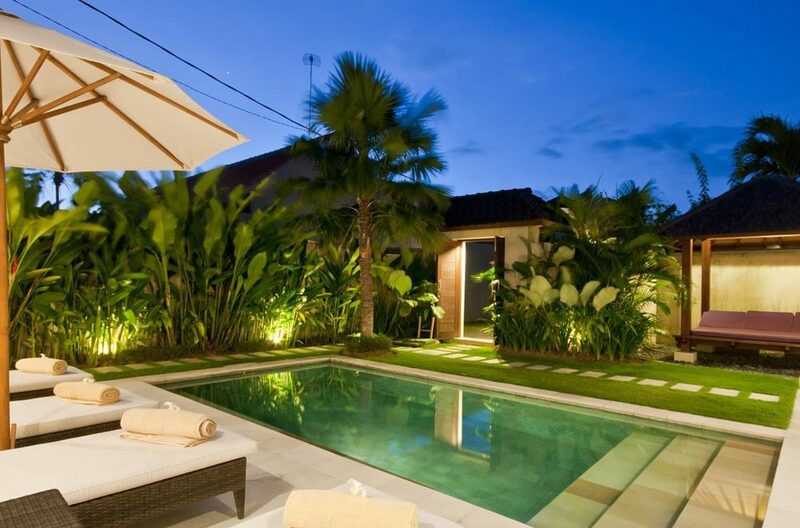 Well established tropical plants border the garden and the refreshing pool awaits. 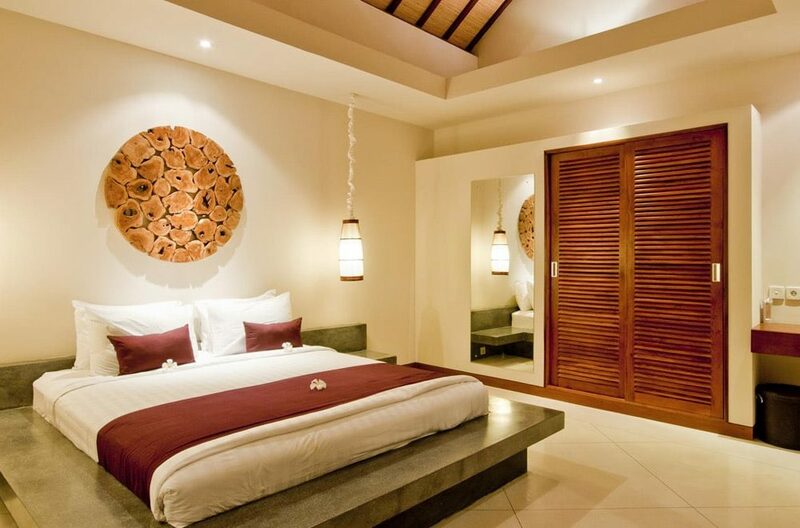 2 king sized bedrooms comfortably sleeps 4 guests. 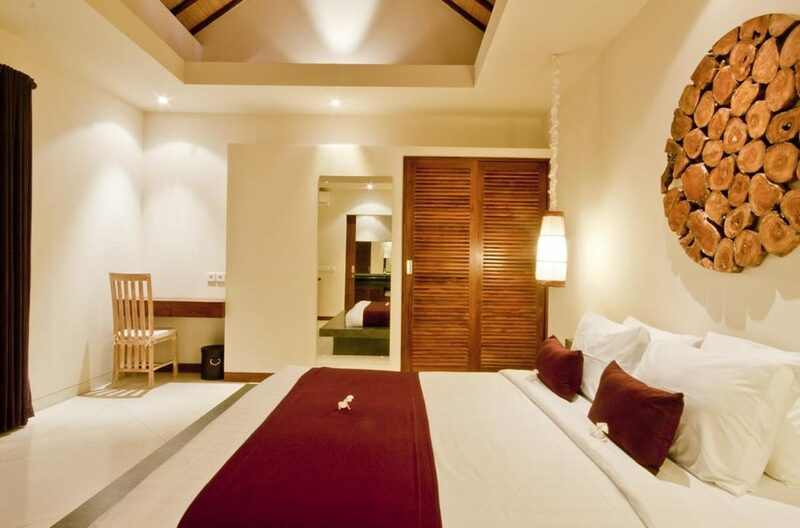 Fine timber furnishings and decorations adorne the bedrooms. 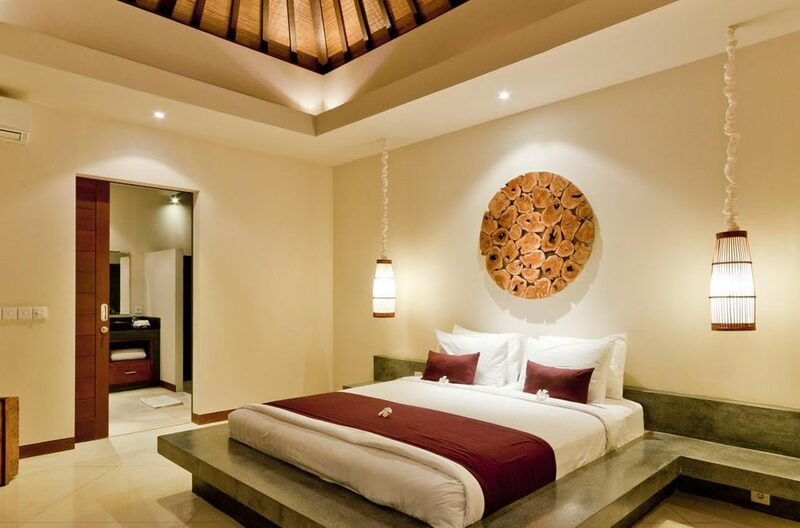 The bed has a high stone platform around the mattress, creating a stylish place to rest your head. 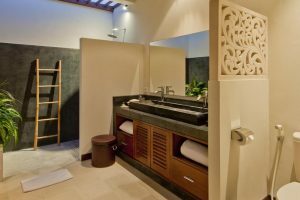 The rooms also have a small desk and chair as well as an en-suite with an open shower. 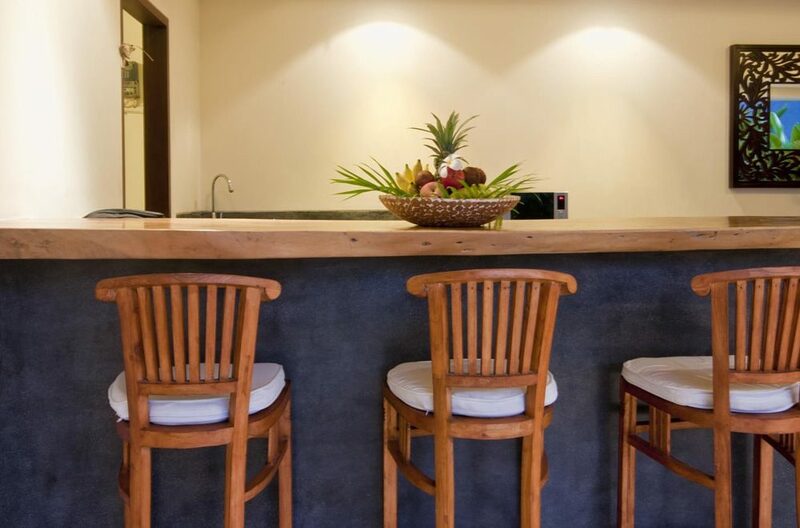 Our in-house staff will happily prepare daily breakfasts, and host meals throughout the day to your liking for an additional charge. Villa managers and maintenance team are more than happy to address any questions or inquiries guests may have in order to make your stay with us as comfortable and relaxing as possible. You’ll find a wide range of cafes, warungs and restaurants in the immediate area such as Ku De Ta, Gado Gado, La Lucciola, Tulip, Kura Kura, La Sal and Lestari. 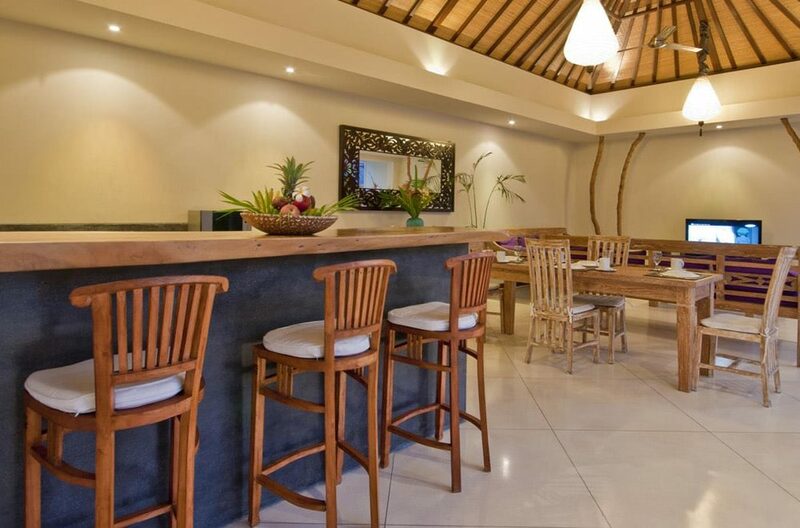 Perfectly situated a short stroll from the beach, it is easy to enjoy the famous sunsets from the range of beachside bars. 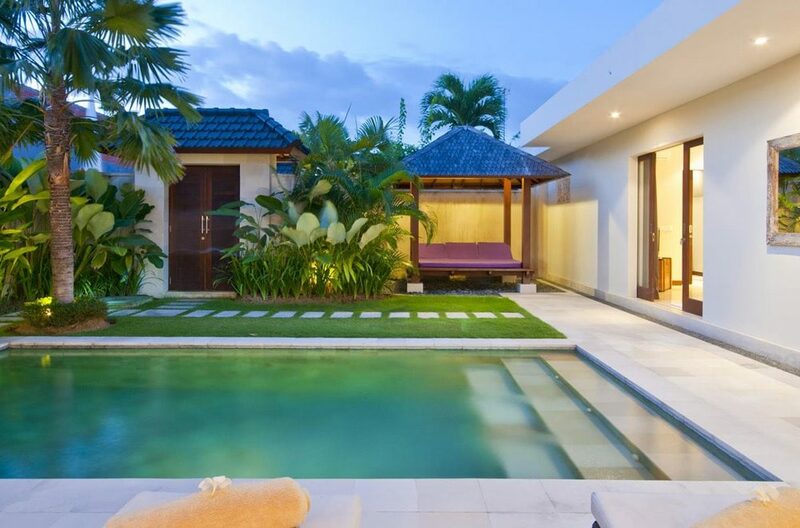 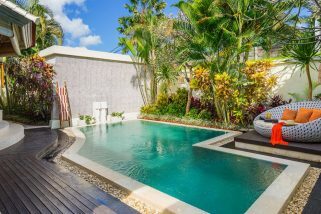 Villa Sirena 4 offers stylish contemporary living with smart modern design and elegant decor, this 2 bedroom villa with it’s designer pool and open air living spaces will not dissapoint.